It has been a week out of the ordinary. I had foreseen a few stories from Vienna and China as we have been at the European Congress on Obesity (ECO) with a couple of presentations and there has also been a national meeting of CCD partner cities in China. 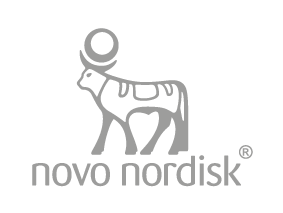 As you will see these stories are also in this update however what I hadn’t foreseen was the huge media interest there was with the press release by ECO mentioning our results from the diabetes projection model that we first presented at the CCD Summit in Houston in October last year. This story went viral and as you will see below media outlets globally picked up this story. Two Cities Changing Diabetes abstracts were accepted for the ECO 2018 in Vienna; 1) One abstract on our Projection Model which was accepted as poster presentation (presented by Dr. Alan Moses), 2) One abstract on our vulnerability assessment findings with an emphasis on how the perception of self and others contribute to diabetes vulnerability which was accepted as oral presentation (presented by Louise Hesseldal). At noon today, approximately 80 conference participants attended the oral session where the vulnerability assessment findings were presented. Tonight Dr. Alan Moses will present the Project Model poster. However, the interest around that abstract/poster already started Wednesday this week where the ECO 2018 decided to issue a press release based on the Project Model abstract as they found that it would get press attention – and it did; The Sun, The Telegraph, The Guardian as well as newspapers in France, Australia and Denmark were among the International media that wrote articles based on the press release with great quotes from Dr. Alan Moses. So now we have gotten through with our message from the projection model on a major scale, and it is exciting to see how we can leverage this so even more will join the fight against obesity and diabetes in cities. The ECO 2018 is the first time that we are present at an obesity conference and we bring back home a lot of positive feedback and interest from the obesity community, as well as some ideas and lessons learned on how to maximise our presence on the ECO (and potentially other obesity conferences) in the future for the benefit of people and the cities they’re living in. Thanks to Louise (LUHL) and Alan for presenting in Vienna and Thomas (TXRA) for his support on preparing the abstracts and presentations. Today, 25 partners from the five Chinese partner cities of Cities Changing Diabetes met in Beijing to discuss a declaration on Cities Changing Diabetes that can raise the fight against urban diabetes from local to national level in China. This is the first meeting to discuss the draft declaration which will be official in August. The declaration is a call to action on urban health and diabetes. The meeting was hosted by the Chinese National Health Communication Project initiated by the National Health Commission to disseminate health knowledge. 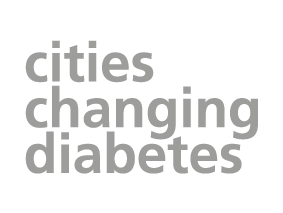 This year the National Health Communication Project will focus on Cities Changing Diabetes. Each of the five partner cities in China - Beijing, Tianjin, Shanghai, Hangzhou and Xiamen - participated in the meeting. The city partners presented local challenges and shared their local programmes. Following the presentations, all the partners and representatives from the National Health Commission, the Chinese Health Education Centre and the Centre for Disease Control and Prevention took part in lively discussions regarding the declaration. The media representatives who will publish the declaration in August also participated in the meeting. This is great work by Lin Min, Liu Yingzhi and Zang Na! Yuliya (YLST) from the global CCD team was so kind to share this article with us today written by Professor Corinna Hawkes from City University of London. Professor Hawkes is a major leader within food policies and she is writing about how we should embrace real life to drive forward real food policy change. In the article she is mentioning a number of great examples among other Anna Volkmann from UCL that has worked on CCD from the beginning. Thanks Anna for contributing and thanks Yuliya for sharing. This is it for this week. I will not send out an update next week as I’m on my way home from Mexico where I have meetings all week. Do continue to share your stories with me. I know people around our network who really appreciate these updates as they seek inspiration for their local work in what colleagues around the world are doing, so keep on sharing. Have a great weekend when you get there.